Hands-On Nutrition Education Paves the Way for a Healthier Future. 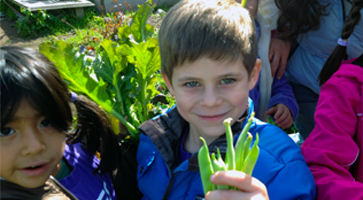 Garden-to-Table scholarships for summer camp at HealthBarn USA are available to children who require financial assistance and want the opportunity to learn how to live a healthy-lifestyle with the support of their families. The ultimate garden-to-table summer camp experience for children, ages 5-12 is held weekly from 9:00 – 3:00 p.m. and includes a naturally, nutritious breakfast, lunch and snack each day. The campers rotate between growing, harvesting and cooking with their own hand-grown produce; learning about nutrition and environmental sciences through games and activities; participating in natural arts and crafts; and being active through yoga and creative play. To nominate a child, please email a brief summary about the child and why you believe he/she would benefit from the HealthBarn USA experience at [email protected] or call 201-241-2774. All nominations are kept confidential. 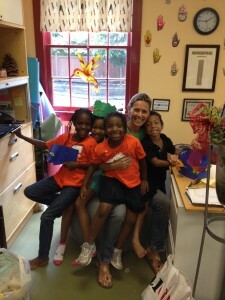 If you would like to make a donation for the nutrition education of a child, please click here. Thank you for helping children and their families!